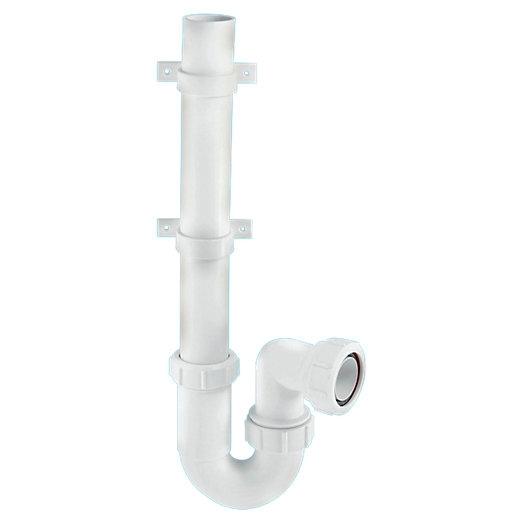 McAlpine are the market leaders in Plastic Plumbing Traps. They were the first UK manufacturers of Plastic Traps and are still considered the best available today. With a well earned reputation for producing Traps that can help with any Plumbing problems, their product range includes Bottle Traps, P Traps, S Traps, Bath Traps, Anti- Siphon Traps, Shower Traps, Washing Machine Traps and many more. The WM3 Multifit compression outlet is compatible with 1 1/2" plastic, copper and lead pipe.